Today in her quarterfinal, Osaka won 59 of 87 points, or 68 percent. In her third-round match, Osaka won 51 of 68 points, or 75 percent. In her second-round match, Osaks won 54 of 86 points, or 63 percent. In her first-round match, Osaka won 64 of 111 points, or 58 percent. 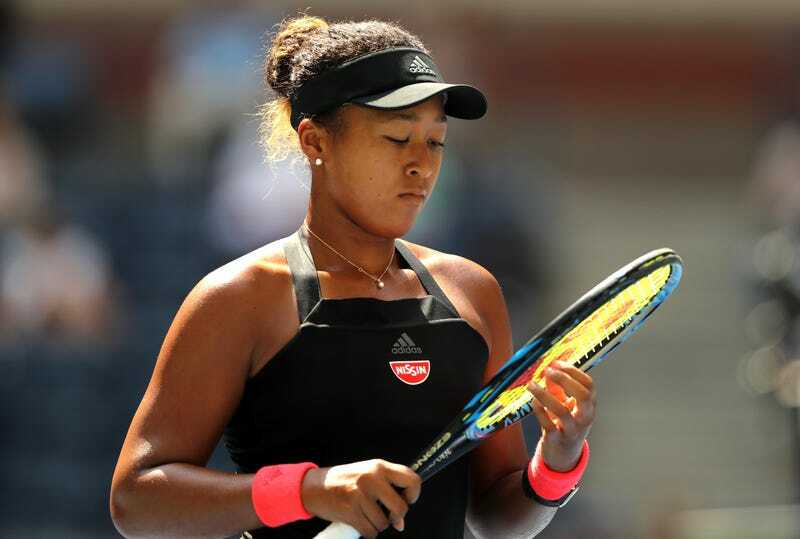 Osaka had a seed-killing title run at Indian Wells and carried that momentum to beat her idol Serena Williams in the first round of Miami the following week. Then she played an uneven season on clay and grass and had a frankly terrible summer hardcourt run. But in New York, at the year’s last major, everything appears to be coming together again. She boasts the pace to hit through these slow courts and the chokingly humid air above them. Osaka, who trains in Florida, also has the right background for this particular U.S. Open. This late in a tournament beset by hideously wet tennis, she can claim a significant edge: “I actually don’t think it’s that hot,” she said on court after burying Lesia Tsurenko today, 6-1, 6-1.